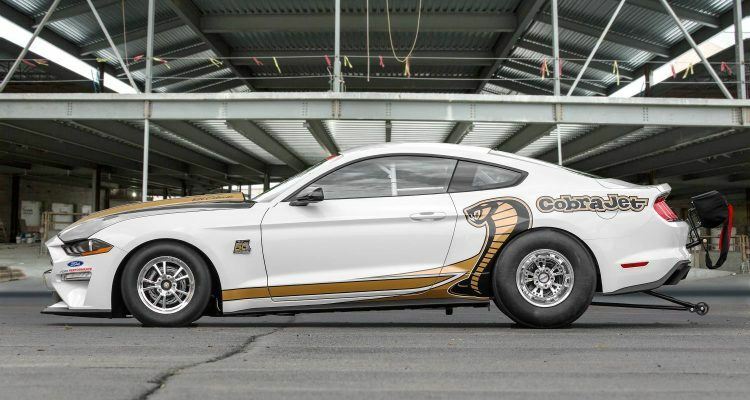 2018 Ford Mustang Cobra Jet: Win On Sunday, Sell On Monday! 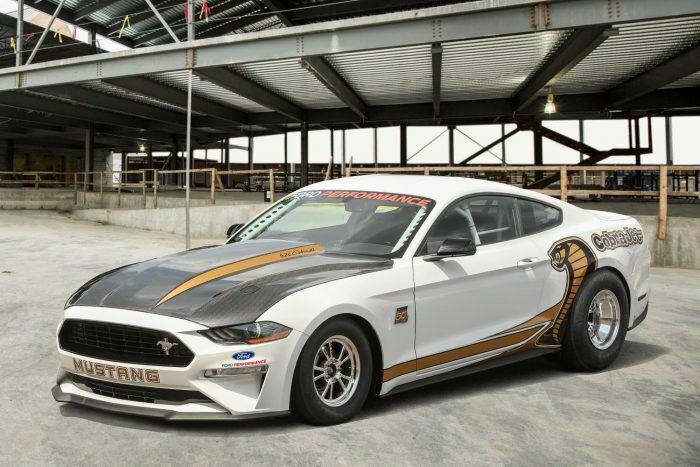 2018 Ford Mustang Cobra Jet: Win On Sunday, Sell On Monday! 2018 Ford Mustang Cobra Jet: Win On Sunday, Sell On Monday! The 2018 Ford Mustang Cobra Jet is the Mustang to end all Mustangs, and maybe the muscle car to end all muscle cars. The now most powerful Mustang Cobra Jet in history hits 150 and covers a quarter-mile in the mid-eights. The 2018 revival marks the 50th anniversary of Ford’s legendary performance car. 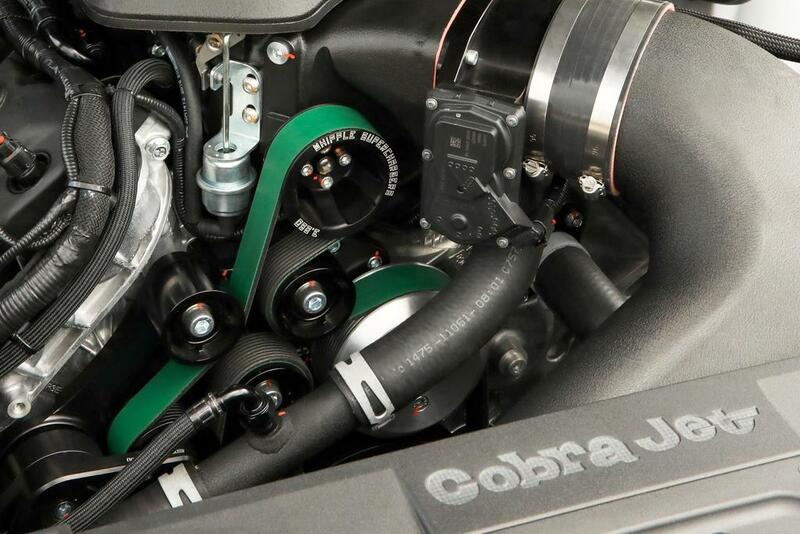 40 years later, in 2008, a supercharged 5.4-liter dual-overhead-cam V8 is introduced for the Mustang Cobra Jet, M-FR500-CJ. Unlike the original, these do not have VINs, so they are not street legal. 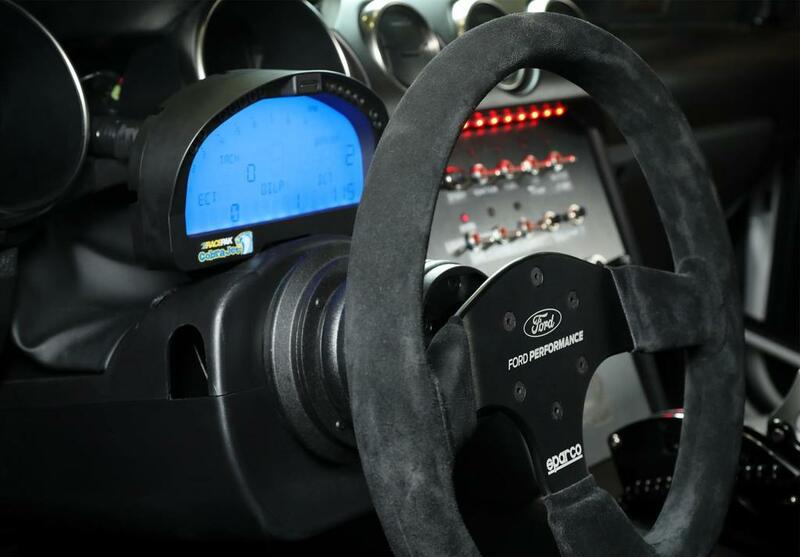 However, they were the first Stock Eliminator car to touch the eight second range at an NHRA National Event. The Mustang Cobra Jet emphases how traditional and Motorsports engineering teams maximize the design and performance of Mustangs. 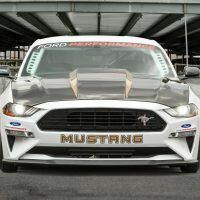 Photo: Ford Motor Company. The 2018 Ford Mustang Cobra Jet sports a 5.2-liter V8 with a 3.0-liter Whipple supercharger. 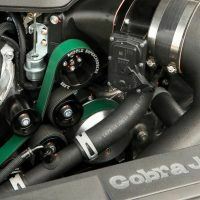 Power comes through a nine-inch solid rear axle, while two-way coil-over shocks with adjustable ride height, and a four-link rear suspension with antiroll and panhard bars keep the Cobra Jet planted. 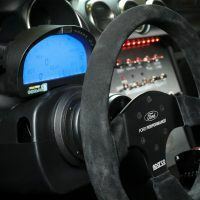 A low-drag disc brake system from Strange Engineering is standard, plus an NHRA-certified safety roll cage, FIA-certified seats, and anniversary-themed racing wheels. Expect the 2018 Ford Mustang Cobra Jet this weekend at the 2018 Woodward Dream Cruise. From there, it will travel to Ohio for the 50th Anniversary Ford Performance Cobra Jet Reunion at Summit Motorsports Park. The new Mustang Cobra Jet is available in either Race Red or Oxford White with an MSRP of $130,000. Production is limited to 68 cars, in honor of the Cobra Jet’s 1968 debut. Orders are currently open. 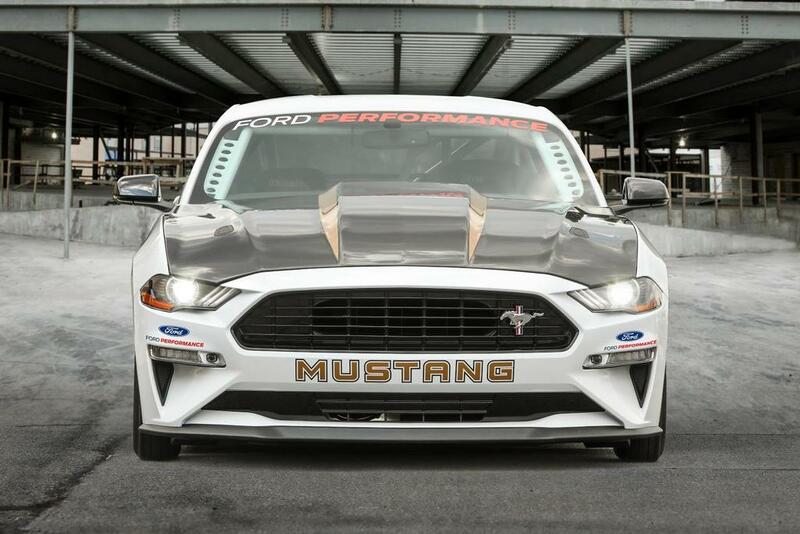 1 Comment on "2018 Ford Mustang Cobra Jet: Win On Sunday, Sell On Monday!"